Chaga cream consist of many natural ingredients that increases nutrients while repelling environmental aggressors and free radicals that negatively impact the skin. 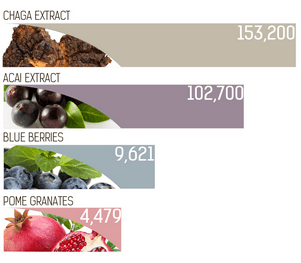 Chaga helps to keep your skin healthy and beautiful. 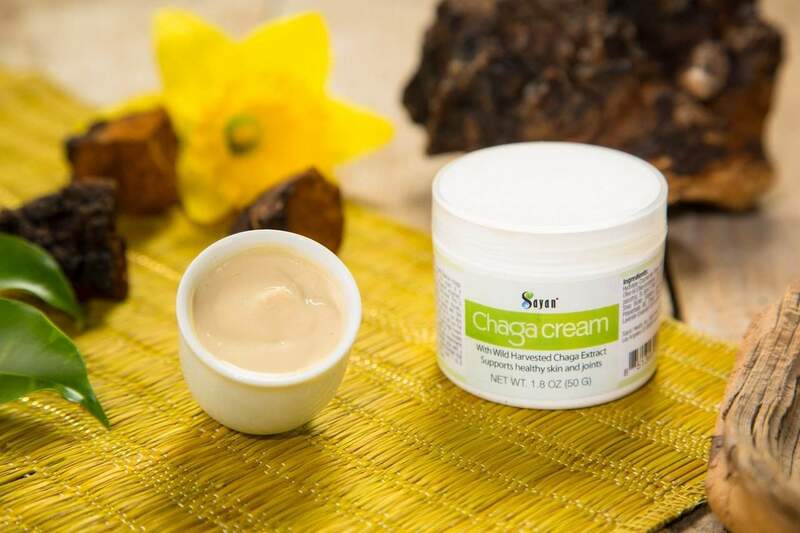 Pamper yourself inside and out with our exclusive chaga cream. Brimming with adaptogens, antioxidants, and vitamins, our paraben-free formula contains only all-natural ingredients, including chaga extract, olive oil, and dandelion. Every day will feel like a spa day. 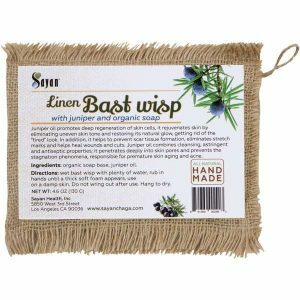 Ingredients: Hydrolyte Dandelion Flower, Olive Oil, Comfrey Oil, Comarum Palustre, Shea Butter, Polysorbate 80, Lanolin, Coconut Oil, Chaga Extract, Bee Wax, Alfalfa Extract, and Vitamin E.
On its own, chaga contains peerless health-supporting benefits. 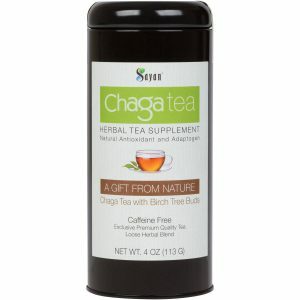 According to renowned herbalists, the chaga mushroom supports healthy cartilage, helps restore joint fluid, and promotes healthy muscle function. It also boosts metabolism, enhances blood flow to joints, and aids in the body’s excretion of toxins and salt deposits. However, when combined with other ingredients in a topical form, the result is an exponentially more effective multi-use solution for maintaining healthy skin and improving the aging process. 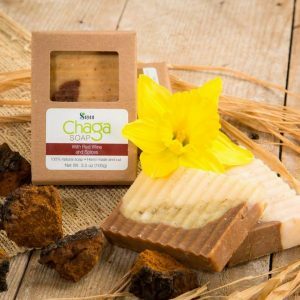 To enhance the penetration ability of chaga, A-lister ingredients include the dandelion flower for supporting clear skin; olive oil for oxidative stress reduction; comfrey oil that supports new skin cell growth; coconut oil for essential repair of damaged skin; and hypoallergenic beeswax to promote a healthy, soft glow. 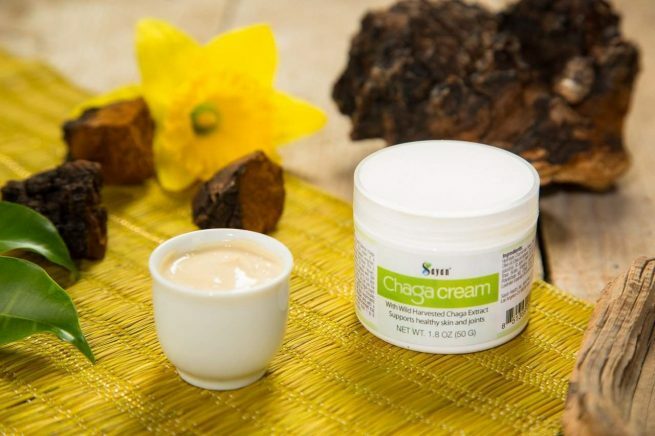 When you dip into a container of chaga cream, you’re slathering on centuries of legendary healing. Across Asia and Siberia, people have used chaga, or Inonotus obliquus, for folk medicine purposes as far back as the 16th century. Although it’s traditional to brew raw chaga chunks or powder into a tea, modern extract and emollient processing makes it possible to absorb antioxidant-rich chaga directly into your skin. The resulting experience is a tangible radiance that can only be attributed to the impressive combination of the adaptogenic mushroom and other super star ingredients, working together to provide sustainable health for your skin. 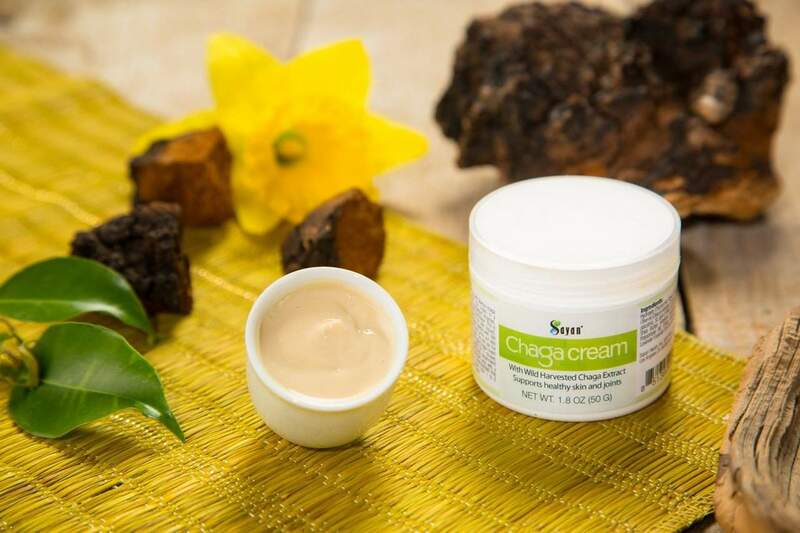 At Sayan Chaga, our chaga cream begins with our signature chaga extract. We sustainably harvest raw chaga from the Sayan mountains, where some of the world’s purest chaga mushroom grows. To gain the extract, we prepare the raw chaga using our proprietary low-pressure hot water extraction method, after which a freeze-drying process ensures our product is packed with the most essential chaga benefits. 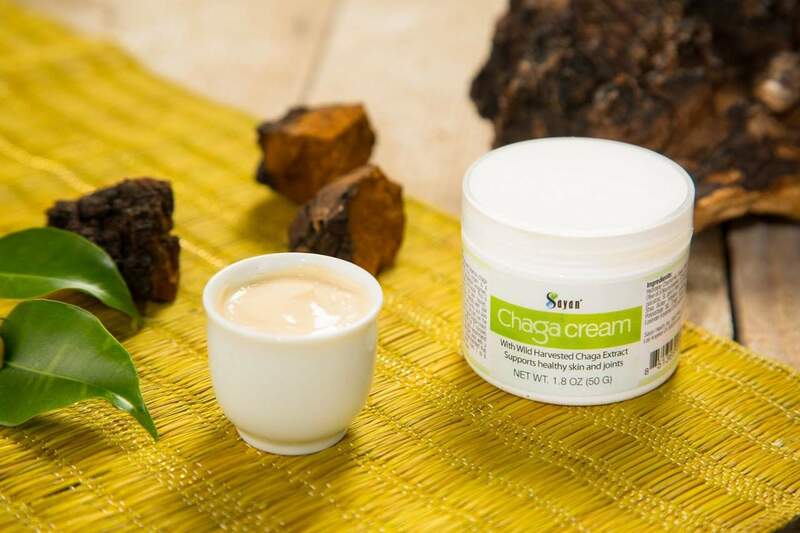 With the extract finally in hand, we craft each batch of chaga cream. 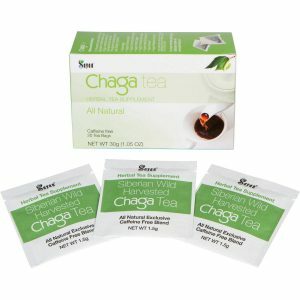 As the leading source of chaga products since 2007, you can depend on our unwavering dedication to your well-being. Savor the healing powers of this humble mushroom in the form of our chaga cream, as you join customers from more than 50 countries worldwide who appreciate the Sayan Chaga difference. Ingredients: Hydrolyte Dandelion Flower, Olive Oil, Comfrey Oil, Comarum Palustre, Shea Butter, Polysorbate 80, Lanolin, Coconut Oil, Siberian whole Chaga mushroom Extract, Bee Wax, Alfalfa Extract, and Vitamin E.
Directions for Use For best results, apply chaga cream by massaging it gently for 2 minutes, 2-3 times daily. We recommend that you use the product on a rotational basis for optimum nutrient absorption by applying cream for 1-4 weeks, followed by a one-week break. Repeat as needed. For proper storage, keep product in a dry and dark place after opening. Warning: Please do not use if you have an allergy to mushrooms or any other Chaga cream ingredients. Please consult with your doctor before using. * Statements have not been evaluated by the FDA. This product does not intend to diagnose, treat, cure, or prevent any diseases. Thank you so much Sayan, my skin feels great. This product has really helped my peeling hands and has made them super smooth.